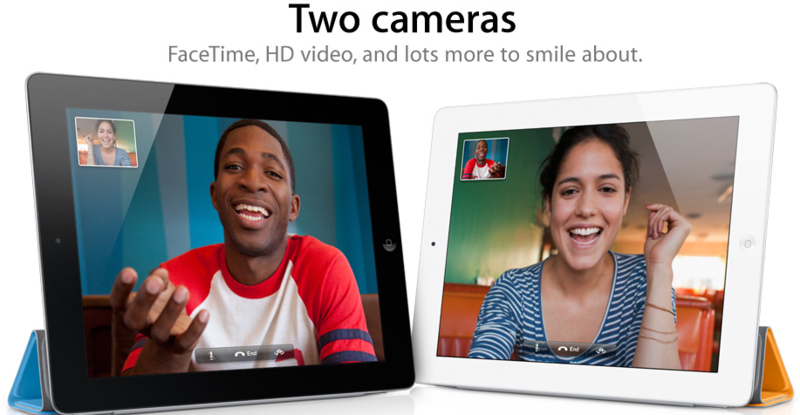 The iPad 2 comes out March 11, click here for the spec details. It comes in both black and white, 2 cameras, faster processor, and cover stand. You can start ordering it online from now, just click here. 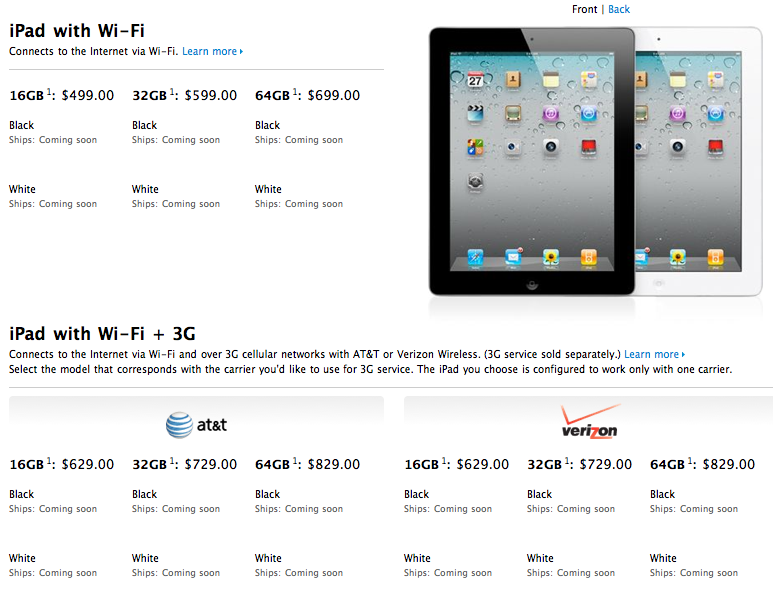 The new iPads are prices the same as the old ones, check the last pic for details.